Alexander studied in Yeshivat Har Etzion in Israel before graduating from the University of Cambridge with a BA (First Class Honors) and later an MPhil in Historical Studies. He studied at RIETS before joining Yeshivat Chovevei Torah. Alexander is the recipient of numerous fellowships and awards including the Arts and Humanities Research Board Fellowship from the British Government and the Richard Hofstadter Faculty Fellowship from Columbia University. 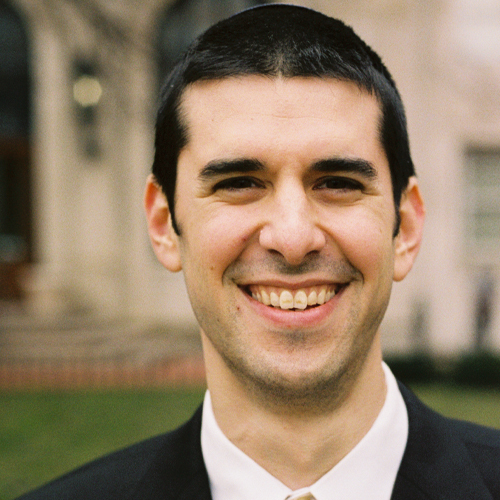 He has served rabbinic internships under Rabbi Marc Angel at the Institute for Jewish Ideas and Ideals and under Rabbi Daniel Wolff at Congregation Beth Tefillah in Paramus. Alexander was also an Adjunct Professor at Stern College and a history teacher at SAR High School. In 2012, he earned a PhD with a dissertation on “The Legal Philosophies of Religious Zionism 1937-1967” and has previously served as Assistant Rabbi at Kehilath Jeshurun in Manhattan.